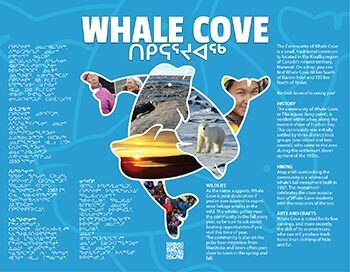 Whale Cove has a very young population. Approximately 67% of the population is under the age of 25. In the winter months, many youth flock to the arena to participate in free skate and hockey times. Year round, the school gym is open in the evenings for organized sports and free play times. Youth Center is now available in the community hall for various youth activities and is open year round.